The "Butterfly Effect"The scientific theory that a single occurrence, no matter how small, can change the course of the universe forever. Simply, it is one small act somewhere can have a large impact elsewhere. A rippling of good or bad consequence. Such as a butterfly flapping its wings in New York and causing a tornado in Japan. Many of us love the beauty of butterflies but may not realize how important they are for our ecosystem. I came across a news story that I feel is important. Mind you, it does involve the border wall and butterflies, but it goes much deeper than that. This is my interpretation of the border wall Butterfly Effect. On February 3rd, 2019, employees at the National Butterfly Center were surprised to see a work crew at the sanctuary for butterflies, birds, insects, plants, and animals of all sorts. The center was created to help with the preservation of wildlife and is protected under many policies, including the Endangered Species Act and the Clean Air Act, but under the current administration, those have been waivered. "Border Security" has taken precedence over any of those protection acts. "It's not really about the butterflies. The birds and the butterflies can fly over the wall," Marianna Trevino-Wright, executive director of the center, told NPR in December. "The issue is the seizure of private property. The issue is the violation of due process. Those are the real issues." The Department of Homeland Security (DHS) has been given the right by Congress to waive any acts they deem necessary to implement the building of a border wall. No matter what the consequence is or whom they take land from. They are using The Take Act, an eminent domain policy created in the 1930s. Whereas they don't have to compensate for land seized, or go to court to take your land, or do any of the regular procedures the government has to do as stated in the 5th Amendment of the Constitution. The Secure Fence Act of 2006 and section 102 of the Illegal Immigration Reform and Immigrant Responsibility Act of 1996 placed an insurmountable power into the hands of DHS. The portion of the wall going through the National Butterfly Center will cut off 70% of the private and preserved land. This could affect the butterflies migration pattern, and that affects other species. 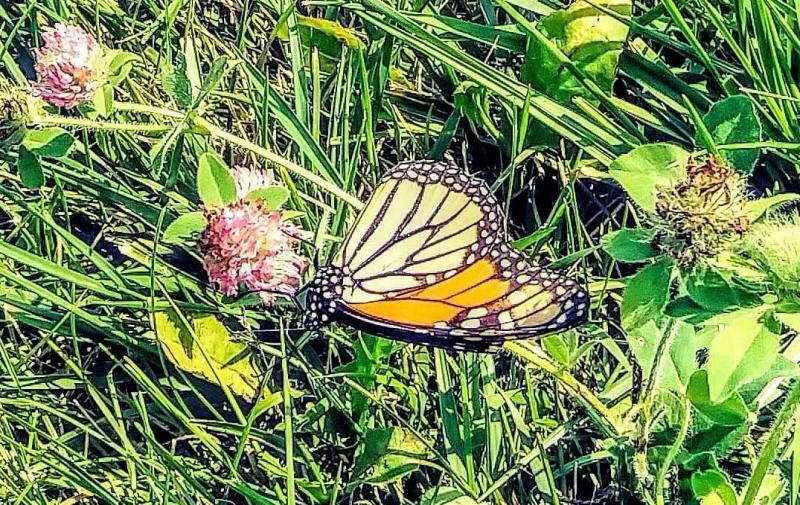 Butterflies help to pollinate vegetation for humans and animal consumption. They also attract other wildlife to areas. They truly are important to the big circle of life. Even though this situation is happening in Texas, that doesn't mean we won't see or feel the effects of it here. We have all certainly felt climate change here in Illinois over our past few years. Record highs and lows have been set around the globe. This winter was particularly cold when a polar vortex split and decided to pass through. Negative 22 degrees is not normal for this region. This is the rippling effect I was talking about. The fact that there are loopholes like these in these Congressional Acts should be frightening to all of us. It is hard to weed through the bombardment of information thrown at us every day. We can not stay complacent and allow them to bully us into our own land being taken from us. Imagine being at home and some guys show up and start bulldozing, how would you feel about that? What happens when we keep making animals, insects, and plant life extinct? How will our future generations survive? Many readers already garden, and so buying and putting in a few new flowers or plants wouldn't take much effort, or perhaps you already have them in your garden. Simply buying plants and placing them outside can help, and thus, you would be creating your own butterfly effect.